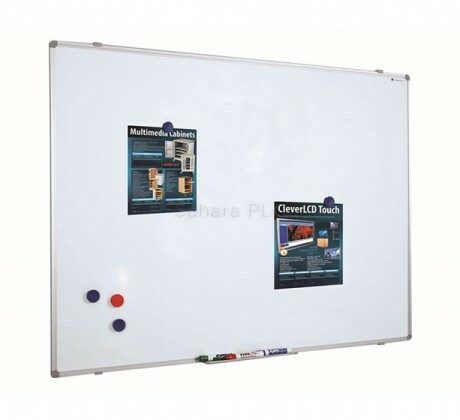 Sahara Reference: 1300009 High quality dry wipe board, ideal for heavy use. Aluminium frame with wall fixings. Accepts magnets. Lifetime guarantee on board surface. Supplied with a pen tray, screws and rawl plugs.